Can you believe I made these toppers from shrink plastic? I’ve never played with shrink plastic before, but now I’m hooked! 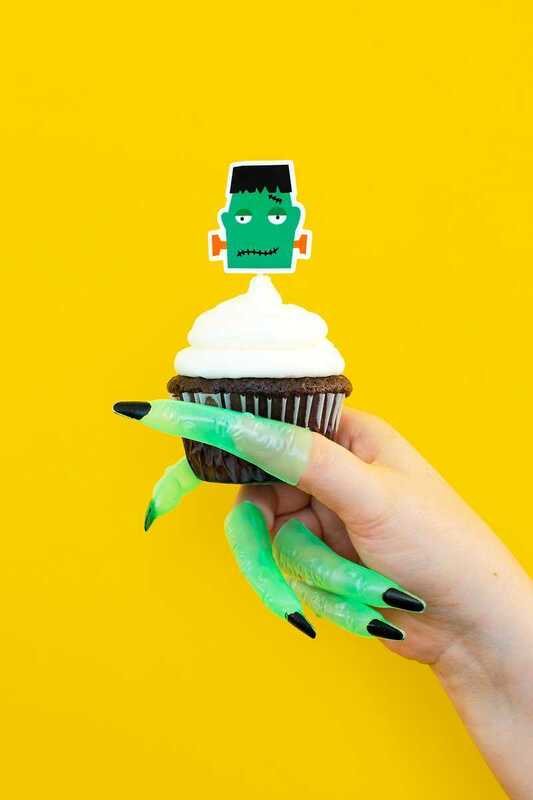 The best part about these toppers, is that they are reusable. You could keep them forever, reusing them time and time again. My husband actually thought I had bought these toppers because the plastic looks THAT good. It’s crazy cool that a sheet of something that seems like paper can turn magically into plastic. I also loved watching the designs shrink down to size in the oven. Making these was really quite fun, and I’m already brainstorming about what I can make next with shrink plastic. 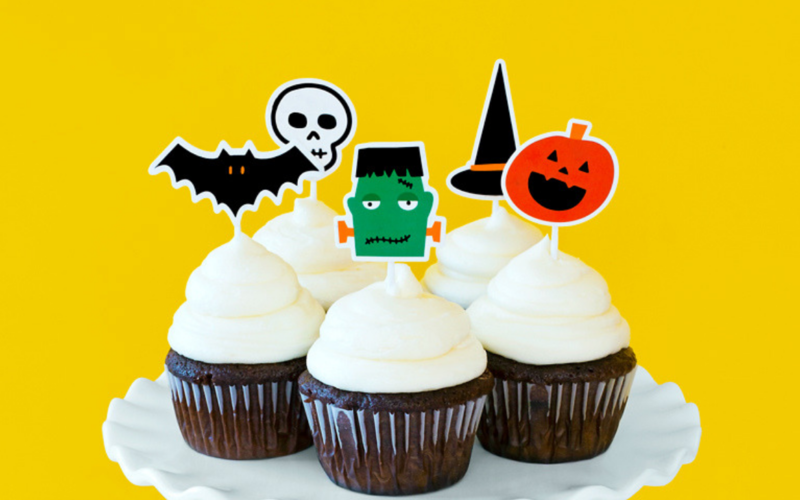 But for now, here are the details on how to make these really cute shrink plastic cupcake toppers. 1. 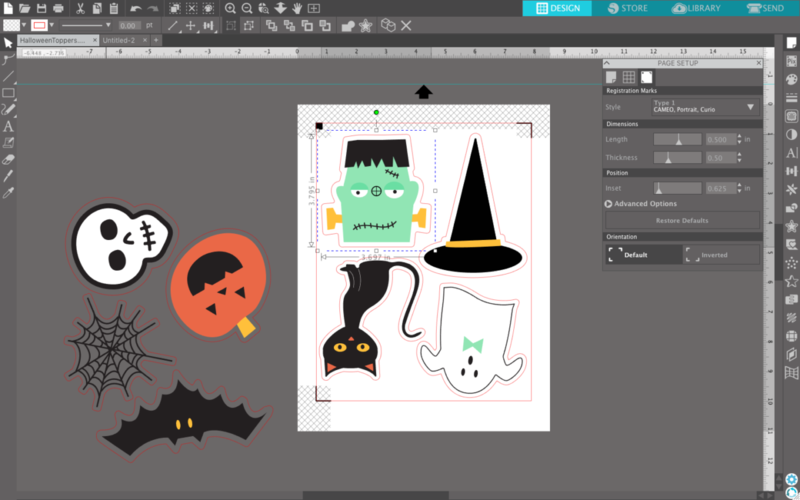 Locate the Halloween Stickers design (Design ID #218598) in your Silhouette Studio® library and open it. Size the designs about 3 times bigger than you want the finished products to be. I wanted my toppers just over an inch in size, so I sized all my designs to about 3.5 inches tall. 2. Turn on the registration marks by going to the Page Setup panel and selecting your type of registration marks (you’ll probably choose Type 1 unless you are using an older Silhouette machine). Make sure the designs fit within the registration marks and don’t overlap the crosshatched areas or else your designs may not cut correctly. Then print the design to your home printer. 1. Bake the design according to the Silhouette Shrink Plastic directions. 1. Super glue white plastic toothpicks to the backs of the shrink plastic toppers. The white plastic toothpicks take these toppers to the next level and really them look store bought. 2. 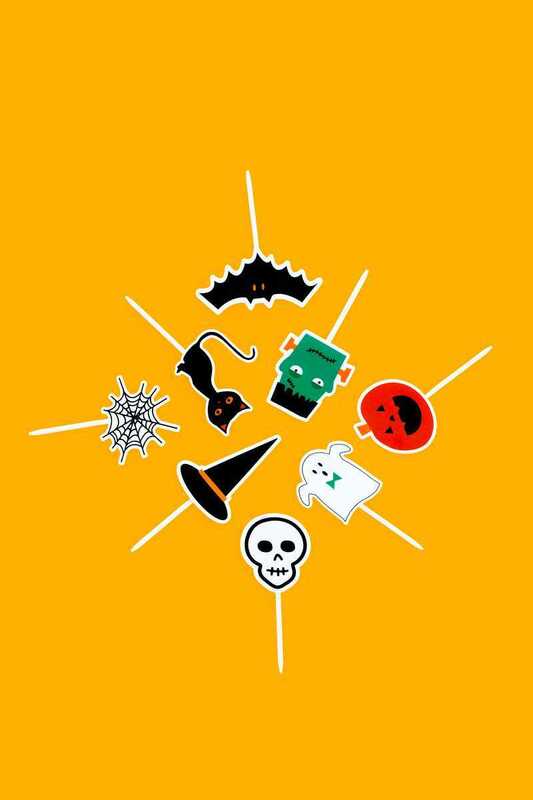 Stick these beauties into your next spookily delicious dessert! These are seriously SOOOOOO cute! Genius! Who would have thought to use shrink plastic in this way! OMG! I love this idea!